NEW DELHI: Chikungunya has been on the rise in the national capital this year but is being under-reported due to shortage of testing facilities and high cost of diagnosis, doctors said. Delhi’s three municipal corporations, which collect data for the entire city, have surprisingly reported just one case of chikungunya in Delhi until August 6, even though AIIMS said it treated over 70 patients in July alone. Clearly, the data put out by the municipal bodies completely excludes the cases reported by the All India Institute of Medical Sciences (AIIMS) and may also have other omissions. “In July, we received more than 70 positive chikungunya cases. There are much more chikungunya cases than dengue right now. They are also more this year than last couple of years,” said Lalit Dar, Professor (microbiology) at AIIMS. Chikungunya, however, is not as dangerous as dengue in which there is also a risk of bleeding, he said. A typical chikungunya patient manifests high-grade fever, severe joint pain, headache, muscle pain, joint swelling, or rash. Chikungunya fever persists for 3-7 days, while joint pain might persist for a week. Doctors recommend ‘symptomatic treatment’ for chikungunya and also intake of a lot of fluids. Chikungunya is being under-reported because there are not enough testing centres in Delhi, Chatterjee said. Diagnosing chikungunya entails distinguishing it from dengue, both diseases being caused by the bite of the same mosquito — aedes aegypti. “If dengue is ruled out and platelet count is in control, we usually prescribe paracetamol and pain killers for chikungunya,” Chatterjee added. “Moreover, PCR test is not done everywhere; hence less reporting. Also, the tests are very expensive,” Tickoo said. The PCR test usually costs about Rs 3000-4000, said doctors. 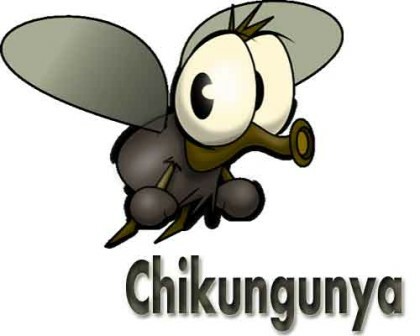 In order to prevent chikungunya from spreading, people should not allow water stagnation, protect themselves from mosquito bites, keep the surroundings clean, dispose off unnecessary items such as old tyres, flower pots, cans, etc., use mosquito repellents or mosquito net, and keep their bodies well covered. In contrast to just one case of chikungunya, the municipal bodies have reported 171 cases of dengue in Delhi this year. Last year, which saw 60 deaths due to dengue, 119 cases of dengue had been reported during the same period. With the rising number of patients in the capital with mosquito breeding diseases, the health professionals of the AIIMS and Lady Harding medical college (LHMC) are also reported to have fallen ill. According to sources, more than 100 resident doctors at AIIMS and their families have fallen prey to high fever, chickungunya or dengue so far this rainy season. Dr Vijay Kumar, president, Residents’ Doctor Association (RDA), AIIMS media, “We are left with no other option, and are moving to private hospital for the treatment. Nothing is being done to tackle the situation at the campus. The resident doctors are also not getting beds”. The hospitals are struggling with the acute shortage of Doctors.